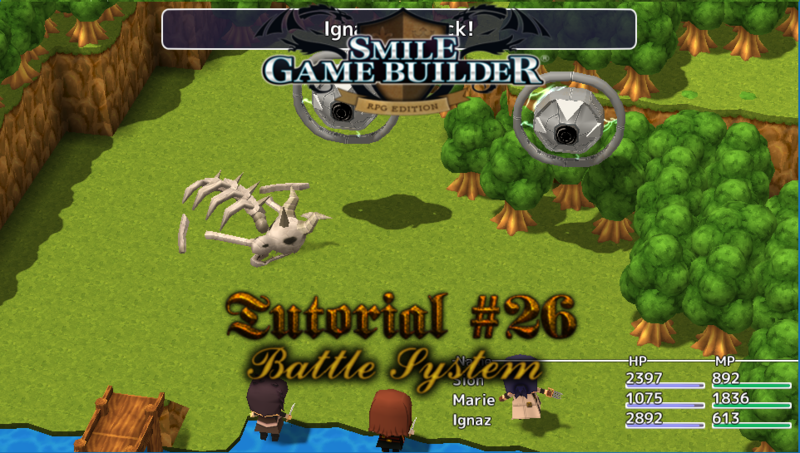 The Tutorial #26: Battle System for Smile Game Builder is an overview tutorial on the Battle System and my own thoughts on it as a whole. The main focus is on 3D battles. 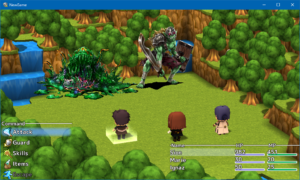 The tutorial still applies to the 2D system as well, however, since it works on the same principle. Much of the content in the video is straightforward. I also included some of my own thoughts and insights on battles as a whole and how everything works together. 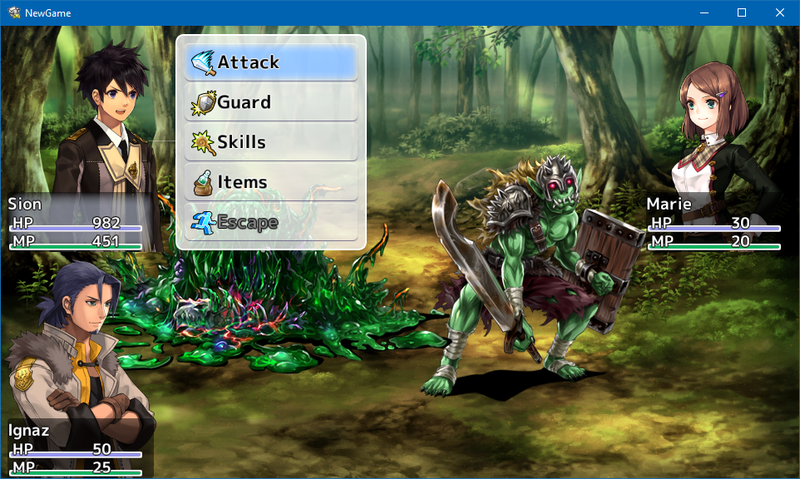 Although the battle system has its limits, as well as a few flaws, it’s still a versatile system nevertheless. Perhaps over time, we’ll have a greater degree of customization. While an Action Battle System (ABS) is entirely possible in Smile Game Builder via events, it’s a rather clunky, complex procedure that requires several events running in parallel on each map. In addition, you need a number of added variables and switches for it to work. I created a simple but workable ABS. First of all, I doubt – at least at this point – that I’ll create a tutorial on it due to it being so involved. Secondly, it’s difficult to translate to a tutorial form. That said, its placement in a game is also conceivable, provided, of course, you have the patience, time and dedication to see it through.